If you have been arrested in the Tampa area for DUI in violation of Florida Statute 316.193, there are two different systems that you will need to deal with. One is the Judicial System. That is the criminal system that controls your DUI charge. The other is the administrative system. The administrative system is governed by the Division of Drivers Licenses and the DMV. They govern whether or not you keep your driving privilege. Hiring a good attorney can help you in both cases. Most criminal attorneys have no experience in the administrative hearings, but the qualified staff of Finebloom, Haenel & Higgins does! What is a formal review hearing? The review hearing is like a mini trial. The rules of evidence apply. The hearing officer will decide if there is substantial evidence to support the officer’s probable cause that you were driving under the influence. This basically means that the hearing officer determines if the cop had a good reason to charge you with DUI and to take away your license. Why do I need to ask for a review hearing? If you do not challenge the suspension in a review hearing, your driving privilege will be suspended for a period of at least 6 months. This is in addition to any time ordered by the judge. This is called “administrative suspension.” The only way to avoid this is to prevail at the administrative hearing. How long do I have to challenge the suspension and ask for a hearing? After a DUI arrest you have 10 days to challenge your license suspension! If you do not ask for a hearing within those 10 days you will lose your privilege to drive for at least 6 months!! If you ask for the administrative hearing, you will be given a temporary driving permit pending the outcome of your scheduled hearing. This will allow you to drive. If you do not challenge the suspension you may not drive until you complete DUI School and get a hardship license. Although the hearing is less formal than a trial, the rules of evidence apply. The hearing officer will allow you to call witnesses and present evidence to support your position that you were not DUI. The officer is also allowed to come and testify. If the officer does not show up, then the hearing officer may rely on the probable cause affidavit filed at the time of your arrest. The limitations on what the hearing officer is allowed to determine are very narrow. Much of what you may wish to present can be inadmissible. That is why it is so important to have an experienced attorney who is familiar with the procedure representing you. If you win the hearing, you can keep your license while your criminal case is pending. However, the outcome and determination of the hearing officer does not “cross over” or affect your criminal case in any way. If you lose, your license will be suspended for at least 30 days. During this 30 day period you can not even obtain a hardship or business purpose only license. You will completely lose your ability to drive for those 30 days. Don’t take that chance!! The attorneys of Finebloom, Haenel & Higgins are available to represent you. Our attorneys have handled hundreds of these hearings. We are familiar with the process and the rules. If you have a defense we can present it. 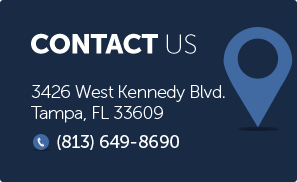 Call us now at 813-200-4421. Our knowledgeable attorneys are available 24/7 to discuss your DMV hearing and any DUI defenses you may have.